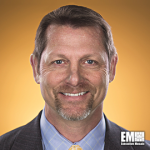 Ronald Hahn, executive vice president of critical infrastructure protection strategies at AECOM (NYSE: ACM), has been promoted to EVP of business development for the strategic growth organization within the company’s management services group. He will oversee the engineering firm’s growth initiatives in the federal government sector, AECOM said Wednesday. John Vollmer, president of AECOM’s management services group, said Hahn’s experience will be vital as he oversees the company’s growth efforts and collaborates with strategic business units to deliver technical platforms in support of clients’ requirements. “We are committed to being the best in our industry and I am pleased that Ron has accepted the challenge to drive long-term growth for our company and provide exemplary value to our government clients,” Vollmer added. Hahn previously led AECOM’s electromagnetic spectrum campaign, which offers technical support to federal clients in cybersecurity, electronic warfare, EM spectrum management and mission assurance areas. 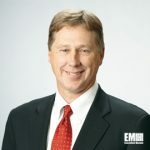 The 34-year defense industry and government veteran has offered consulting support to several federal agencies such as the departments of Defense, State, NATO and the Joint Chiefs of Staff. He has served on the executive panels and boards of the Intelligence and National Security Alliance, Armed Forces Communications and Electronics Association, Defense Science Board and the Association of Old Crows.